Introducing TMD Tech Solutions - The Marketing Department, Inc. The marketing industry is constantly evolving, causing more and more organizations to need customized technical solutions. As our team continued to create custom applications for our clients, it became clear that there was a market for industry-specific applications on a large scale. The industries initially being serviced by TMD Technology Solutions are agriculture, food and beverage processing, and nonprofit foundations, including community foundations, educational institution foundations, and other foundations with multiple ongoing fundraising campaigns. 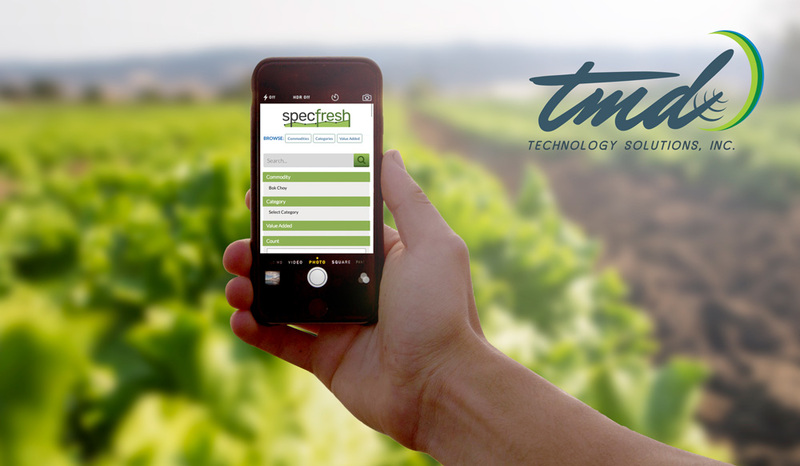 The three products currently available from TMD Technology Solutions include SpecFresh, Kiptraq, and the Gives App. Learn more about these new applications at tmdtechsolutions.com.